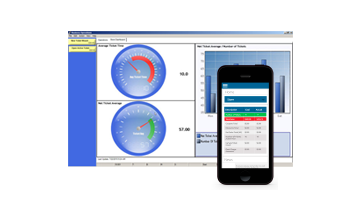 eLube is a State-of-the-Art POS (Point of Sale) software package designed specifically for the quick lube industry. Initial design of the product occurred early in 2001 and the product was released to the market in April of 2003. Written using the very latest Microsoft Tools, eLube has matured into the most robust and affordable quick lube product in the industry. 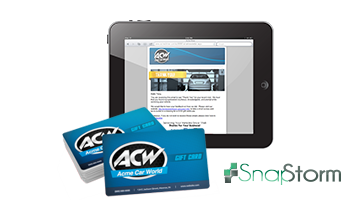 SnapStorm provides a very robust, real time marketing program for gift cards, loyal customer rewards, email marketing, and subscriptions. 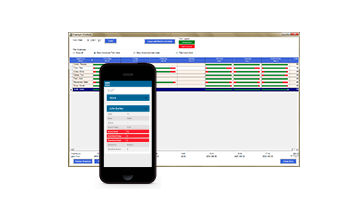 Our main ticket screen is built for speed and efficiency. Everything you need is located at your fingertips. 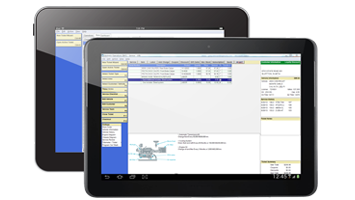 Access features such as our engine diagrams, oil reset light, chassis diagrams, and vehicle information. Use eLube on your PC, iPad, iPod, Android device, and more.